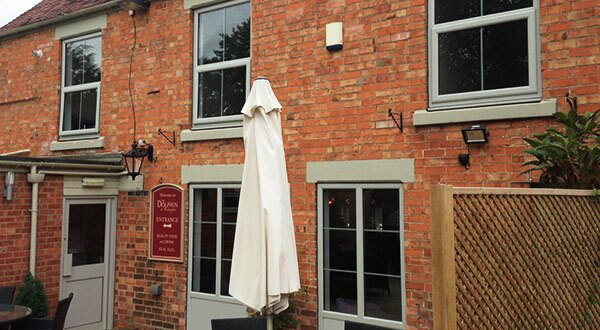 A Worcestershire Parish Council has called in the services of Northfield Glass Centre Ltd., a VEKA Approved Installer, to update the windows at picturesque country pub, The Dolphin at Bishampton. “We’re thrilled to see The Dolphin returning to its former glory with the installation of these new windows. Not only do the new PVC-U frames complement the heritage look of the building perfectly but it’s warmer and there’s less road noise – important factors for the many visitors that come for the renowned food it serves. This article first appeared in Glass News, the Glass People who “cover all things glass and glazing”. This entry was posted	on Thursday, August 13th, 2015 at 1:36 pm	and is filed under UPVC Case Studies. You can follow any responses to this entry through the RSS 2.0 feed. Both comments and pings are currently closed.